We were established to supply butchers and today we supply abattoirs, supermarkets, hotels, restaurants, bakeries, butchers, fish and poultry in both Ireland and UK. Our first shop was at 72 Queen Street. 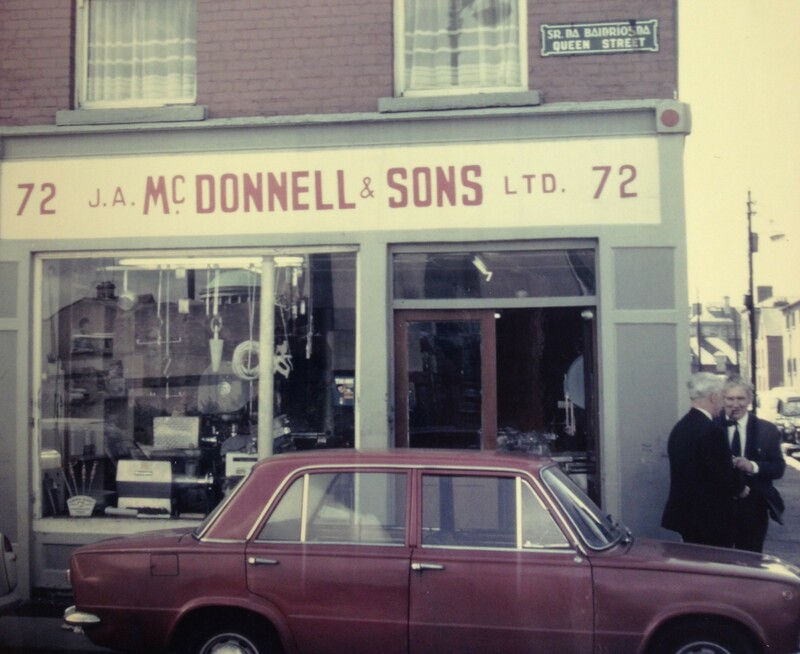 Then for over 40 years at 19-20 Blackhall Street Dublin 7. We have now moved to our new premises at Unit 15 Northern Cross Business Park, North Road, Dublin 11. With our stock currently up to 3000 products, we procure our goods from all over the world so it is possible for a McDonnells customer to get his hands on any product they wish.